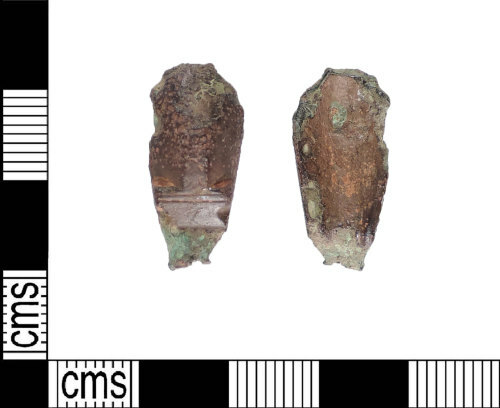 Fragment of an early Anglo-Saxon copper alloy cruciform brooch. Only the bow survives. The bow is arched, faceted at top and bottom, and convex in section. The bow has a reddish-brown patina with patches of bright green corrosion. Circa AD475-550.